A group of twenty-eight Rotarians and partners spent the weekend representing the Rotary Club of Hawthorn (and don’t forget Glenferrie and Endeavour Hills!) on a club visit to the Rotary Club of Nhill. This was a follow-up to Nhill Rotarian John Millington’s talk to the club, when he told us about the Karen Community in Nhill. 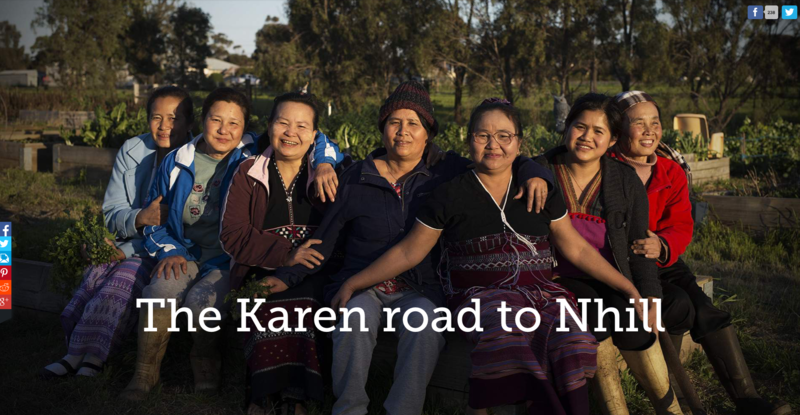 The town of Nhill is now home to 200 Karen refugees from Myanmar. 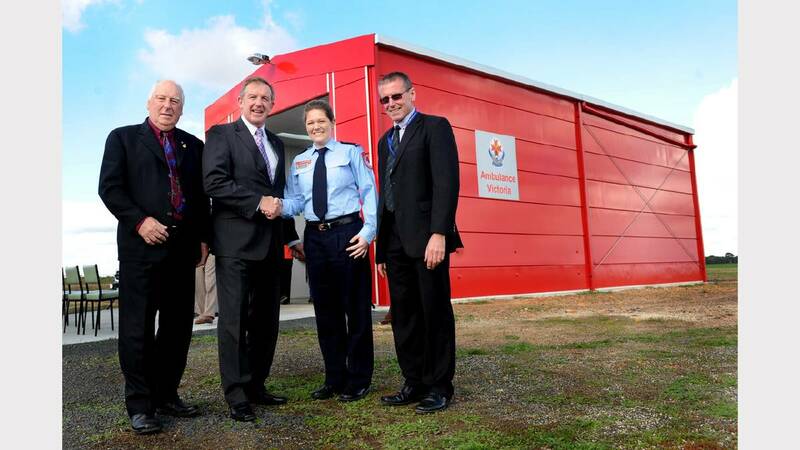 Far from dividing locals, the huge influx of newcomers – many of whom arrived traumatised, unfamiliar with western society – has brought new life to the community. 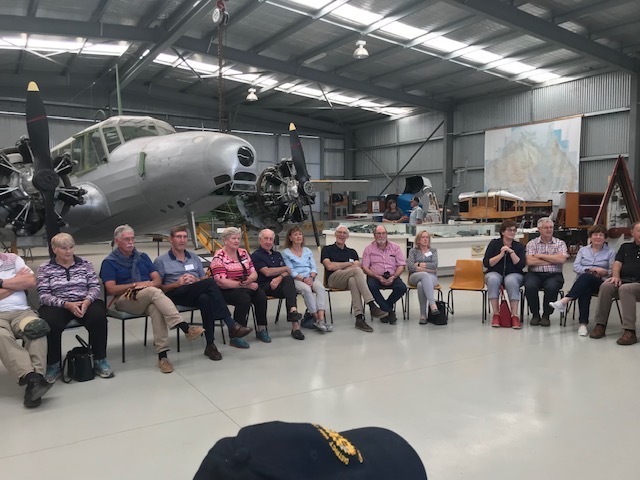 The Rotary Club of Nhill proved to be wonderful hosts, bussing us from venue to venue, showing us the various interesting sites, and feeding us frequently. After morning coffee in Beaufort and lunch in Horsham, the group had barely time to settle in at the Zero Inn at Nhill before being taken to the Paw Po Centre, one of the previously closed up shops in the main street. It is now full of chatter as the women weave, sew and work their way through the complexities of erecting Ikea flat packs. They have called the business Paw Po, meaning “little flower” in Karen. The window is full of handmade products using traditional fabrics. There are cushions, oven gloves, mats and little rope baskets. They also produce beautiful flower arrangements. Several members bought souvenirs and gifts to take home. We passed The Luv-a-Duck Farm on the way to The Community Garden, where we heard how the Karen people have developed their own food production, with considerable assistance from The Luv-a-Duck Farm in the form of duck manure. 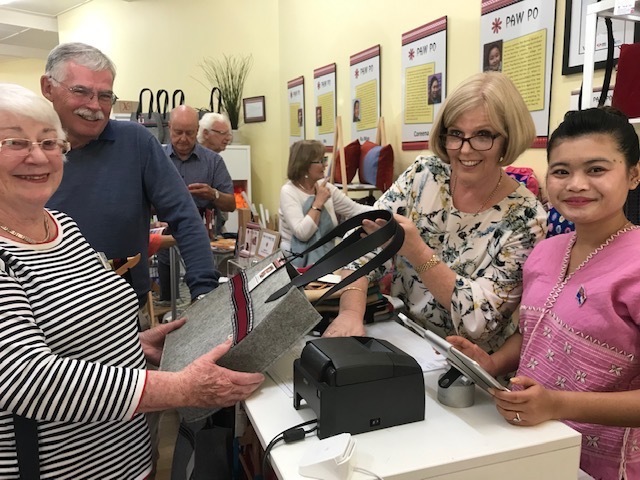 After a short break, we were driven to Nhill Lake for pre-dinner drinks and to meet more Nhill Rotarians, and then (after a brief stop at the IGA to purchase essential supplies) to St Partick’s for dinner and entertainment. The dancers were skilled and enthralling, and the audience showed their apprecition of the time and effort they had put in for their performance. We also heard from a RYLA attendee, and a student who hopes to go the the National Youth Science Forum, before studying medicine as a career. But it wouldn’t be Rotary without a raffle, and those on a certain table are sure to be fined heavily at the next Sergeant’s session. The following morning we were picked up at 8.15 am for a walk on the boardwalk on the swamp, before breakfast on the lake. Once again Nhill Rotarians produced the goods: bacon and egg for brekkie! Then on to church, where the service was enchanting with a strong Karen culture to it. After a few more sights around town, to Olivers Café for lunch: Olivers is essentially a community house but also an interesting concept as it provides training for the locals in hospitality. CEO Annette Creek told us the story of the rebirth of Olivers as a “Social Enterprise“ and her other programs with the Karen community. Before we finally hit the road for home, tired but happy, President Ian Bentley acknowledged the work of Noel Halford and John Millington in making the visit such an enjoyable event.